What is one of the most important things we can do for those we love in the Lord? We can pray for them. 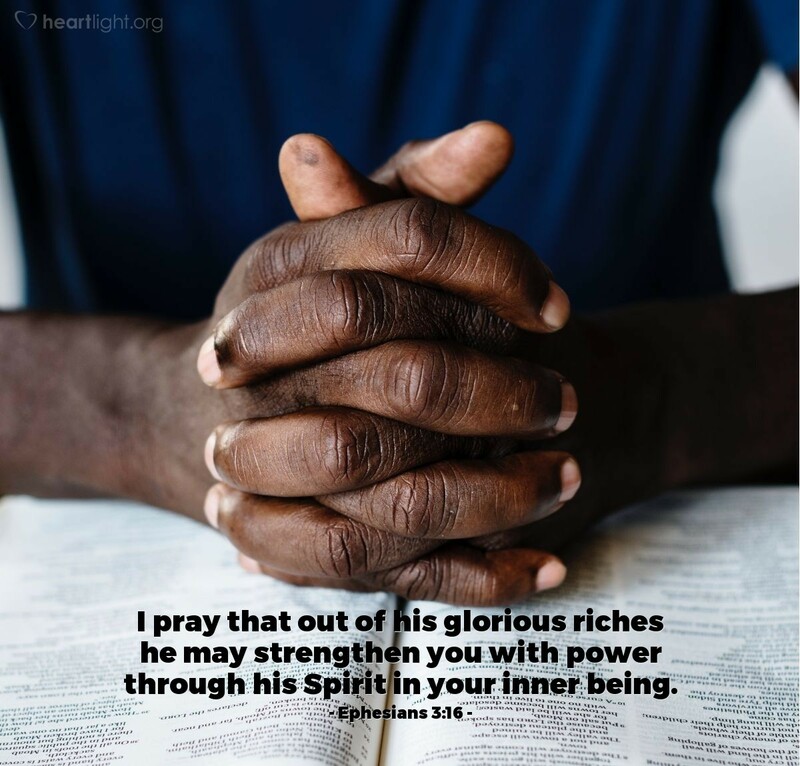 But more than that, we can pray that God will strengthen them with power through his indwelling Spirit. This same Holy Spirit raised Jesus from death (Eph. 1:19). This same Holy Spirit is God's great gift for those who ask (Luke 11:13). This same Holy Spirit reanimated a valley of dry bones (Ezekiel 37). And this same Holy Spirit will strengthen those we love in the Lord if we ask for him to! Mighty and awesome God, I have several brothers and sisters in Christ who need your grace, mercy, and power poured into their lives by your Spirit. Some need to be convicted of their sinfulness. Some need strength and courage for their difficult road ahead. Some need power to overcome besetting sin in their lives. Please strengthen them with your power in their inner being through your Holy Spirit. In Jesus' name I pray. Amen.